About the Detroit Society for Genealogical Research, Inc. The Detroit Society for Genealogical Research was organized on 20 September 1936, by a group of thirty-three interested persons, which grew to one hundred eight members within the year. Its primary objective was to be a non-profit organization for the preservation and perpetuation of the records of ancestors and families of the commonwealth, and to be of assistance to the Burton Historical Collection, Detroit Public Library. Its affairs were to be administered by an elected Board of Directors consisting of a President, Vice President, Recording Secretary, Corresponding Secretary, and Treasurer. 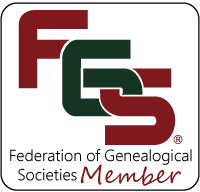 All persons interested in genealogy, history, or biography, either amateur or professional or any organization or corporate body are eligible for membership. With membership you will receive the quarterly Detroit Society for Genealogical Research Magazine, 20% discount on Society publications, unlimited entries in our Surname Registry, access to all back issues of the DSGR magazine and special out-of-print publications, discounts on DSGR trips, and reminders of meetings and program agendas. The Detroit Society for Genealogical Research, Inc. is a 501C3 corporation which means that donations to us are deemed a charitable contribution on your income tax return. For both the Contributing and Sustaining membership options, the amount in excess of the standard $25.00 membership fee is tax deductible. As of May, 2017, the membership year for new members will begin on the first of the month (i.e. 1 June) that their application for membership is processed and it will expire on the last day of the preceding month (i.e. 31 May) as many years later as their membership plan calls out.